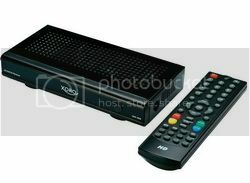 Xoro HRS 8540 HD Satellite Receiver distinguished by a more compact housing and low power consumption. Xoro HRS 8540 Modern technology provides chipset excellent value for money. Xoro HRS 8540 HD Media Player plays video, audio, and image files from USB storage media with NTFS and FAT32 file systems. Xoro HRS 8540 supported video formats in addition to the classic, such as MPG and AVI and MKV format. MPEG1, MPEG2 and MPEG4 ASP / AVCH. 264 receiver processing to 1080p resolution.